My journey in the fitness world began many years ago during my College years. I was captain of the dance team. Think Celtics dancers, but imagine cassette tapes for music, vinyl knee high boots and red hot pants..haha!! This was the time I also joined my first health club and before I knew it, I was working there teaching classes and selling memberships. center . I love encouraging a new member, helping them feel a part of the group and providing the guidance to help them feel successful and wanting to come back. I also love the camaraderie of teaching to a member for many years, knowing they keep coming because the class is fun , packed with variety and continual physical challenges. Having great music, a warm smile and being just a little but silly are my trademarks. Come and join us in class and be a part of the best hour of your and my day!! After 6.5 years working an office job at a computer, Shannon made the jump to full time fitness and joined the personal training team here at Waverley this past March. She is now certified as an ACE Personal Trainer and Group Fitness Instructor as well a LES MILLS BODYPUMP, BODYCOMBAT, GRIT, and CXWORX Instructor. In addition to working for LES MILLS as an Assessor for the past two years, reviewing instructor video assessment submissions and determining if they are ready for certification, Shannon was recently accepted as a LES MILLS National Trainer and Presenter for BODYPUMP, where she will get to travel the country presenting the format and bringing new instructors on board to change the world through life-changing fitness experiences. “What would you do if you weren’t afraid?” This a motto Dawn Wessman has embraced over the last 16 years of leading group exercise. “I love people and learning new things. Incrementally improving at each fitness discipline has shown me anything is possible, at any age, especially when you’re surrounded by great people who are trying their best.” She began by leading yoga and Pilates classes in Salt Lake City, becoming a master trainer, then adding cycling, weight lifting, barre, boot camp, personal training, Zumba and five children into the mix. -Working out makes me a kinder mother . -I taught college level Russian, religion and am a professional photographer. -My dear husband and I are both 5’, we have five children and have lived happily in Boston for 5 years. During college, Kristen was introduced to BodyPump by one of her college swimming teammates. Instead of hitting the gym and lifting weights with the rest of the college athletic teams, Kristen and her team would hit the group fitness studio. “We would jam out to the older BodyPump songs, and it was always an uplifting and fun experience.” After college, Kristen moved to Boston to attend Northeastern University for graduate school. It was difficult moving to a new city and not having a built in friend group. She found a gym that offered BodyPump and signed up. Over the next few years, she became good friends with others that attended BodyPump classes. As someone that has always had a very outgoing and energetic personality her friends encouraged her to attend a Les Mills BodyPump training. She attended, received her certification, and started teaching classes. • I completed a 1 mile open water swim in Boston Harbor at the end of September. • I work for New Balance as a Treasury Analyst as my full time job. • I feel inspired by the participants who come to my class! Please stop by introduce yourself and say hi! I hope you come to class intrigued and leave wanting MORE! Karleen Fallon has been teaching spin for around thirteen years and loves it more today than ever before. 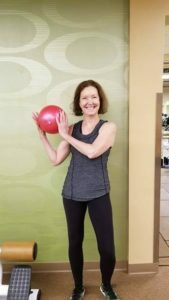 She broke into the activity to give her knees a break from marathon training and is confident that the endurance, interval, and strength training that spinning provides pushed her to peak performance in the height of her marathon days. Over the course of the last few years, marathon running has taken a back seat to parenthood, but spinning remains a very important part of her workout routine (and sanity). Most of her training today is to keep up with her two young daughters. She knows how precious time is and structures her class so that every minute of every class is filled with new challenges. She believes in pushing those who sacrifice their weekend mornings to push into new cardiovascular thresholds and strives to provide music and pace work that keeps members completely engaged all the way through the 60 minutes. Join her for a spin power hour every Saturday and Sunday at 8:00 am. You won’t regret it! Dore’s passion is sharing her love of moving to music with others, whether it’s on a bike, in the pool, on a yoga mat or in a fitness studio. She seeks to empower participants to honor their bodies, move with joy and confidence, and find their best selves. 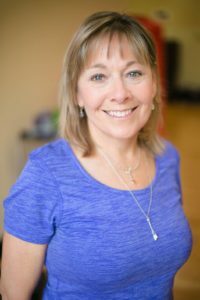 She loves helping participants individualize a group class to serve their needs and fitness level, and offers modifications and advancements in all of her classes. 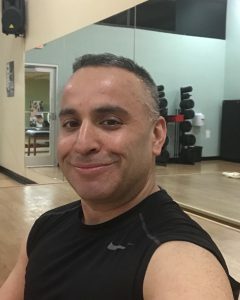 Dore loves to move and enjoys an active lifestyle including yoga, Pilates, competitive singles tennis, road biking, kayaking/SUP, weight work, dancing and teaching 14 classes per week. 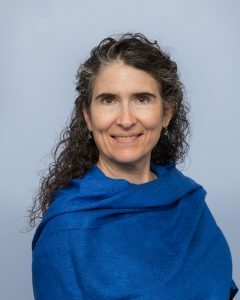 Dore started practicing yoga in 1995 to combat the physical demands of training for a marathon and the stress of practicing law in a large firm in DC. 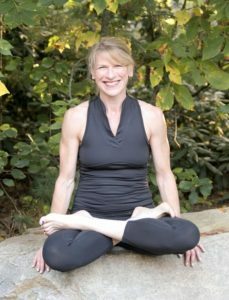 When she decided to return to work after spending twelve marvelous years at home raising her two sons, she chose to become a yoga and fitness instructor rather than return to the practice of law. MaiLee played team sports throughout her high school and college careers. After graduating from college, she juggled a full-time job with raising a son as a single mom. One day, looking to take a little break from her hectic schedule, she walked into a Cardio Kickboxing class at a local gym and instantly fell in love. “I figured I have 50 minutes of free time, so let me try this one class. I loved that I could work out with other people who motivate one another. I missed that comradery and found it in Group Fitness.” Group fitness became a staple in her life. After being approached by several instructors over the years, she finally signed up for her first fitness certification and has been teaching for 4 years. MaiLee has her AFAA Group X, Mad Dogg Spinning, Insanity Live and P90X Live certifications, and she has a license to teach Strong, by Zumba. 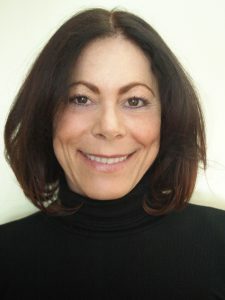 Sue has been a part of the fitness industry for over 30 years. She started in college as a dance minor and never looked back. She has taught group fitness all over the United States, as well as France, Spain, and Hong Kong. Making fitness a part of her life has been a passion of hers for as long as she can remember. She believes in the social aspect of group fitness classes, and finds them to be a place of both physical and emotional support. She finds the fellowship of the group has uplifting powers. Two years ago, Sue had a knee issue with her meniscus. This forces anyone to re-evaluate their fitness workouts, and goals. Pilates and Barre became even more important, in her own routine, and in her teaching She encourages all levels of fitness into the class, and hopes to include any level to start and discover where it leads. Sue never loses sight of the fact that it’s an honor to lead a group of people into that zone. She teaches barre, Pilates, and muscle conditioning classes. Scott has always led an active life playing football and lacrosse grow-ing up, and still enjoys snowboarding, hiking, mountain biking and rock climbing in his free time. Scott received his Bachelors in Sports Motion Science from Salem State. He has always been passionate about working out and trying to better himself for his adventures. Scott injured his shoulder playing football, which resulted in a botched surgery. After giving up on all of his activities and surrendering to chronic shoulder pain for several years. He rebuilt himself from the ground up, focusing on correctly strengthening his body. 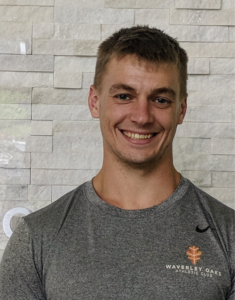 Scott has been a personal trainer and group fitness instructor at Waverley Oaks for almost two years. He enjoys enhancing people’s lives by increasing their mobility and strength so they can tackle any obstacles that they might encounter. Scott believes that moving the body can help you feel better, it can turn even the worst of days around! Also, that exercise leads to a stronger mentality and a better spirit. Committing one’s self to an exercise routine builds self-worth, and teaches that hard work pays off. There’re few things in life where you truly get out what you put in. Whether at your job or in a relationship some of the work you do will go unnoticed. With exercise everything you do counts. The culmination of all of your hard work is returned by strength, empowerment, happiness, and accomplishment. Scott teaches several classes that can accommodate varying levels of fitness, while still pushing you to your limits. Scott enjoys bringing his energy to the stage, making exercise fun for everyone. His classes focus on full body workouts designed to help everyone reach their fitness goals. Nicole has been a dancer since she could walk! She found Zumba in 2011 and hasn’t looked back. Since she became licensed in the Latin dance fitness format in 2012, Nicole has found a true passion for exercise and wellness. It ignited her confidence and desire to help others. She is licensed in Zumba toning, Aqua Zumba, Zumba Gold, BollyX, Barre, and Strong By Zumba, which she teaches at here at Waverley Oaks. Nicole is AFAA and CPR certified. While fitness is her passion and side hustle, Nicole is a public affairs producer at WCVB-TV Channel 5. When she isn’t teaching or working she is bingeing on Netflix shows or trying out new restaurants! certification in early 2016. Emily danced professionally in Boston for several years. Her yoga classes intend to empower practitioners to feel grounded and joyful. When Emily is not in the studio, she can be found writing, hiking, reading, making art, and eating sushi. In 2010 I was diagnosed with Type 2 Diabetes as well as Sleep Apnea. I was 36 years old and weight 235 pounds. After two years of doctor appointments, daily insulin shots, using a CPAP machine, I decided to change my life style. Making a New Year’s resolution in 2012. I walked into my first Zumba class and never walked out. I have been a Zumba fitness instructor for past five years. I have a strong background in fitness management, sports and exercise. My journey though Zumba fitness has motivated me to want to live a healthier lifestyle. I bring that motivation to every class I teach; Inspiring others to continue with their fitness journey. As a water class instructor, my mission is to bring excitement into your workout while helping you stay well and fit. I aim to deliver a wide variety of opportunities for functional movement training in my water classes. My philosophy behind functional training ( functioning in every day living ) is to improve overall quality of life. My class members range from 20 year old athletes to senior citizens. Some are rehabilitating from an injury. I focus on posture and alignment with some advanced options sprinkled in. I help people to personalize their workouts and encourage them to step out of their comfort zone. Incorporate strength and endurance in a playful routine. My teaching style is to encourage you to push yourself and to get the best out of each workout. My classes are high energy and upbeat. I want you to leave having had a great time and a great workout. My favorite part about teaching is seeing progress and new-found confidence in members. I’m AFAA certified with a BS in Nutrition and a Masters in Education. I’m a former member of the Simmons College Varsity Crew Team. We competed in the Head of the Charles and Dad Vails competitions – always coming in 1st or 2nd place! In the early 80’s I taught aerobics at Woman’s World! I’ve been a lifeguard and swimming instructor. Up until the age of 23, Shannon’s idea of living healthy was to order a Diet Coke on the side on her hamburger and French fries. A scary blood sugar reading at a routine doctor’s appointment was the wake-up call she needed. Thanks to a diet overhaul and Les Mills, she was able to gain control over her weight and find her true passion: fitness. Shannon’s journey with fitness started mostly with running and BodyPump, completing a half marathon in the fall of 2014. As she attended more and more group fitness classes, she kept picturing herself at the front of the class, leading it. So she thought, why not? 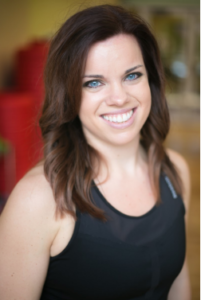 This past year, Shannon was one of five (out of approximately 200 appli- cants) people accepted to the Les Mills TAP (Trainer/Assessor/Presenter) Team as an Assessor for BodyPump and BodyCombat, reviewing instructor video assessment submissions and determining if they are ready for certifica- tion. Shannon loves providing thoughtful and detailed feedback to help in- structors in their roles, praising strengths and identifying areas for growth. Contributing to the expansion of the Les Mills tr1be has been a great way to repay it for all it has done for her own health and happiness! In the water, on land or on snow, Emilia is a mover and a shaker. 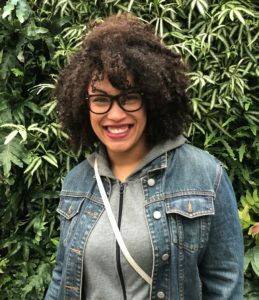 She leads an energetic class, with positive vibes and diverse music. She’s thrilled to frequently teach Pre-K through Seniors on the same day – both on land and in the water. This gives Emilia unique insights on body movement and teaching progressions. In over forty years of teaching swimming, she’s seen all ages, abilities, and mobility’s gain benefits from increased buoyancy and resistance in the pool. Emilia’s love of movement began at age five with ballet. Ballet expanded to classes in pointe and modern dance. Not one to be put in a box, she also competed in western style square dancing and contra dancing! Teaching swimming was her second love, and began while she was in junior high. Next her interests grew to include soccer, leisure education, recreation, and boating. 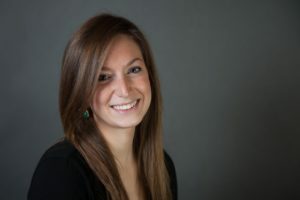 Emilia has led both “the go getter” and “the tentative” to success while teaching a variety of activities including kayaking, Nordic skiing, sailing, and canoeing. 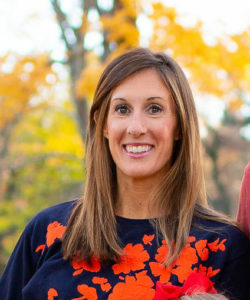 Currently she coaches middle and high school sports, and also teaches Physical Education. Additionally she has spent many years as a waterfront director, aquatics consultant, and lifeguard trainer. 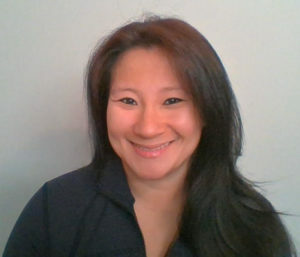 Athletes of all ages, from around the world, find success with her fun creative teaching style. 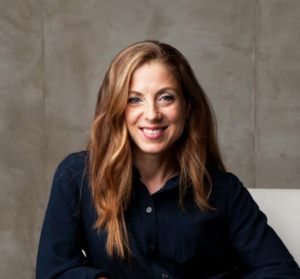 Emilia considers herself an educator and a coach; developing people’s potential and actualizing their goals is her passion. Emilia’s commitment to helping people make the most of life’s experiences shines forth in her leadership. Whether you exclusively prefer a water workout, or like to change things up once in awhile – come join her at the pool!